An icon of style, now flannel-lined for warmth and comfort. 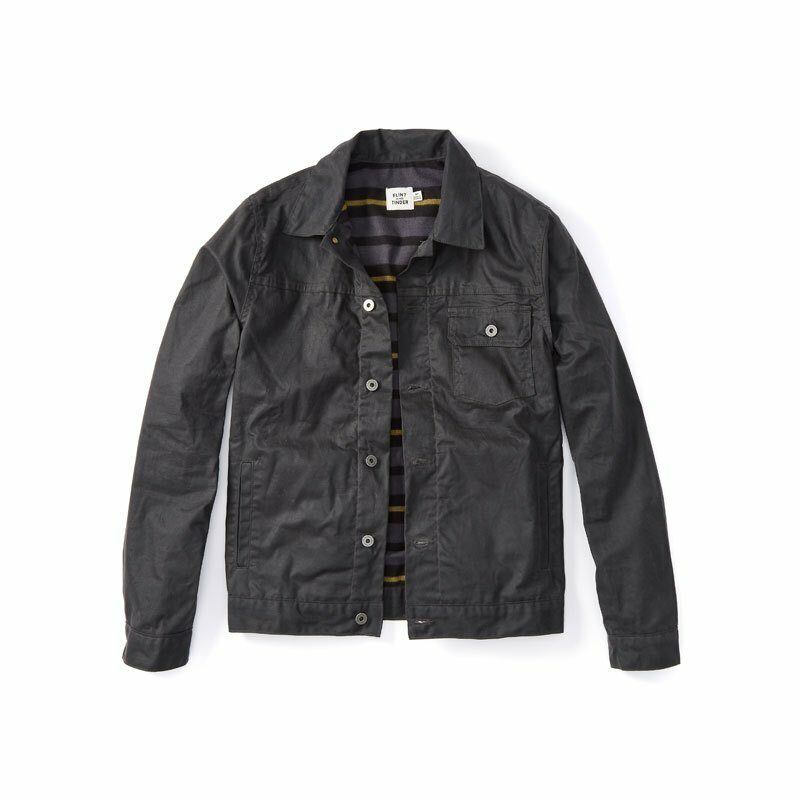 Tough, timeless, and made in the USA, this top-seller is constructed with a waxed and weather-resistant Martexin 7 oz. sailcloth, which like selvage denim or finely tanned leather, will only get better with age. Every time you hoist a beer, tie your boots, or ride your bike, your movements will lighten the color of the waxed fabric in the creases and bends to create your own unique wear patterns. It's truly a thing of beauty, and why every guy needs a Waxed Trucker in their closet. And unlike most of the other Waxed Truckers on the market, this jacket is soft out of the box, and can even be worn only with a tee underneath since both the body and sleeves are fully lined with soft blanket lining that feels great on the skin. For the price, you simply can't beat the quality, construction, and versatility of this bad boy.